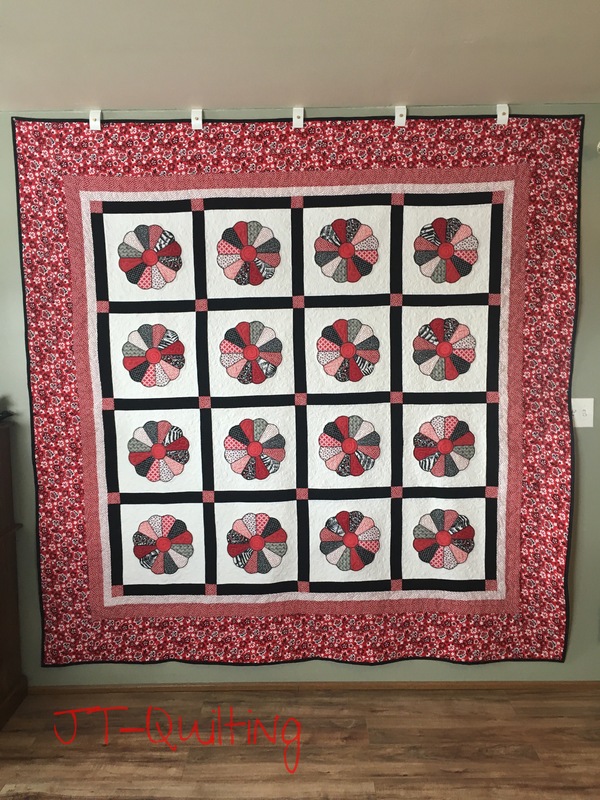 I want to share with you all a beautiful quilt that Carolyn made it’s a Dresden plate quilt that’s very unique. I have seen many variations of this pattern some with short points, some with long blades and ones with a circular petal like this beauty. 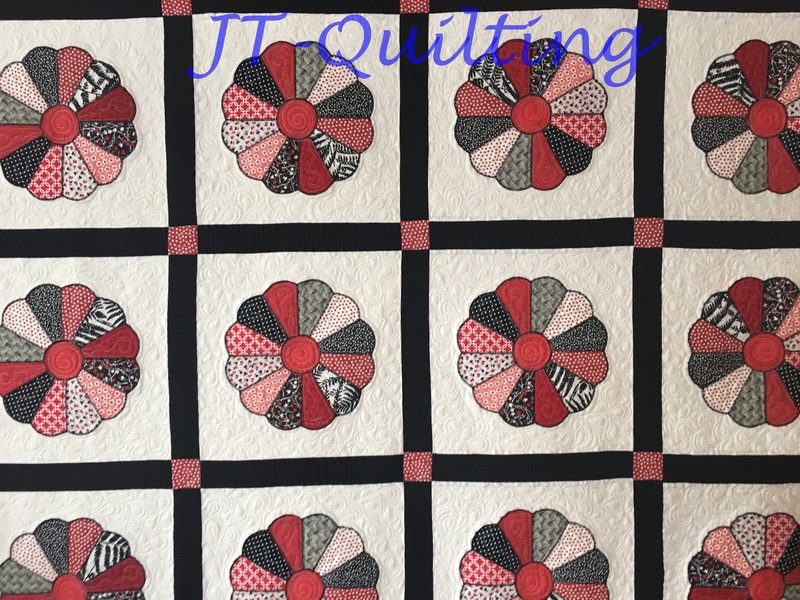 Carolyn’s quilt I would surmise is themed for Valentine’s Day with its array of heart fabrics paired with crisp white backgrounds amongst black petal accents it’s truly beautiful. 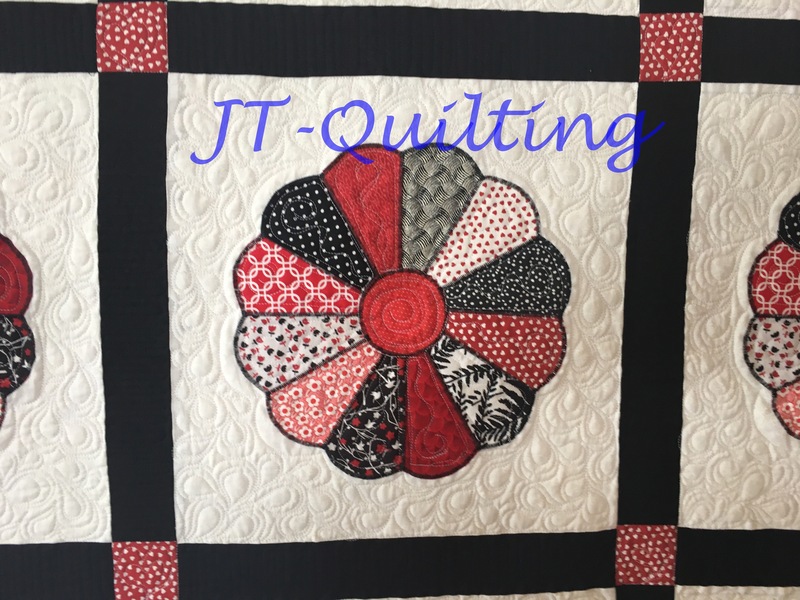 I decided to accent her blocks with quilting, clam shells and soft free flowing curls in the Dresden blocks, in the black sashing strips I quilted a zig zag and in the corner post squares I quilted free floating hearts in one outer border finishing the last red border with feathering and pebbling. This was such a fun quilt to quilt thank you Carolyn for sending me your gorgeous quilt I hope you love it.